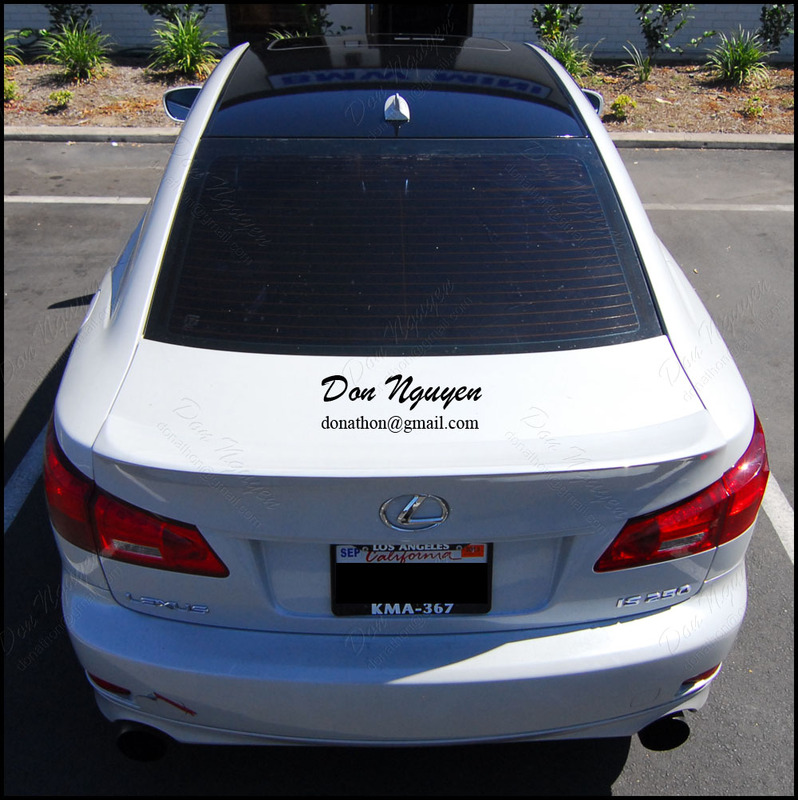 For this white Lexus IS250, the owner wanted to have me black out the roof of his car with my gloss black vinyl material. We went with the gloss black to give it that panoramic/glass look. The gloss black roof went well with the other black pieces that were on the car (black inserts/accents on the side skirts and roof spoiler, which was only taken off for the install). The only other thing I could have possibly suggested to doing to this car is also blacking out the chrome around the window trim area. However, that comes down to a preference thing and some people prefer having/leaving it chrome, but I like the blacked out look for the chrome since it gives the car a much sportier look. The owner of this car came out to me in Orange County/Anaheim Hills to get the work done.